Ecological public welfare forest quality scientific evaluation is an important link to improve forest resource management level, and an important part of ecological public welfare forest information management system construction process. This study which by the county-level ecological public welfare forest as research object, integrate application geographic information system technology platform, use of forest resources that “second-class survey” sub-compartment database for information sources, established the county-level ecological public welfare forest geographic information management system. The ecological public welfare forest can achieve dynamic, visual and scientific management. Frequency statistics method, theoretical analysis, expert advice and other methods were adopted to screen out evaluation indexes, and AHP method was used to determine each index weight. An index system was constructed based on the “second-class survey” data to evaluate the quality of ecological public welfare forest. 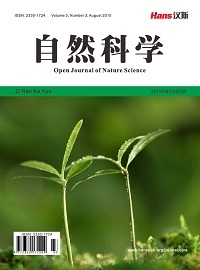 Finally, based on ecological public welfare forest quality evaluation index system, use of public welfare forest sub-compartment information by geographic information database was established, adopting fixed sub-compartment evaluation method to evaluation ecological public welfare forest quality. 尹峰, 张贵, 朱玉雯 (2008) 生态公益林质量评价指标体系及综合指数研究. 浙江林业科技, 3, 29-33. 廖小英 (2008) 福建三明市区生态公益林质量分析. 中南林业调查规划, 3, 23-25. 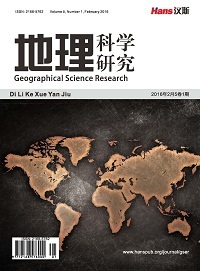 蔡重, 张志云, 连芳青, 等 (2012) 基于GIS 技术的生态公益林与商品用材林质量评价. 江西农业大学学报, 6, 1180-1185. 郭宁, 邢韶华, 姬文元, 等 (2010) 森林资源质量状况评价方法及其在川西米亚罗林区的应用. 生态学报, 14, 3784-3791. 党普兴, 侯晓巍, 惠刚盈, 等 (2008) 区域森林资源质量综合评价指标体系和评价方法. 林业科学研究, 1, 84-90. 石春娜, 王立群 (2007) 我国森林资源质量评价体系研究进展. 世界林业研究, 2, 68-72. 李卫忠 (2003) 公益林效益评价指标体系与评价方法的研究. 硕士论文, 北京林业大学, 北京, 25-29. 林进 (1998) 公益林与商品林分类指标体系及技术标准的研究. 林业科学, 4, 93-100. 蔡小溪, 吴金卓 (2015) 森林土壤健康评价研究进展. 森林工程, 2, 37-41. 吴晓丽, 杨春玉 (2015) 森林立地质量定量评价方法. 内蒙古林业调查设计, 1, 29-31. 赵惠勋, 周晓峰, 王义弘, 等 (2000) 森林质量评价标准和评价指标. 东北林业大学学报, 5, 58-61. 周洁敏 (2001) 森林资源质量评价方法探讨. 中南林业调查规划, 2, 5-8. 刘学全, 唐万鹏, 汤景明, 等 (2002) 鄂西三峡库区防护林林分质量综合评价. 应用生态学报, 7, 911-914. 毛淑娟, 胡月明 (2007) 基于GIS与灰关联综合评价模型的生态公益林林分质量评价. 广东林业科技, 1, 37-41. 臧润国, 朱春全, 雷静品, 等 (1999) 可持续经营框架下阔叶红松林区生物多样性间接评价体系的研究. 生物多样性, 3, 189-196. 段庆锋 (2004) 区域森林资源可持续评价指标体系研建. 硕士论文, 北京林业大学, 北京, 14-26. 蒋有绪 (1997) 国际森林可持续经营的标准与指标体系研制的进展. 世界林业研究, 2, 9-14. 洪涛, 刘发明 (1997) 防护林区域生态效益评价指标体系. 甘肃林业科技, 2, 59-61. 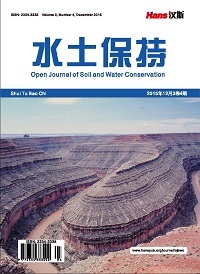 温伟庆 (2010) 基于GIS的漳平市生态公益林建设监测与评价. 福建林学院学报, 2, 187-192. 陆守一 (2004) 地理信息系统. 高等教育出版社, 北京, 57-68. 施丽娜, 华德尊, 李春艳 (2005) 运用层次分析法评价虎林市地表水环境质量. 环境科学与管理, 5, 100-103.